Get a downloadable map and GPS files for this and eleven other Weymouth and Portland routes here. A new bridge across Newstead Road will be built in 2011. The proposal was submitted and sponsored by West Dorset CTC.It will be built thanks to Connect2 and DCC Funding and your vote. 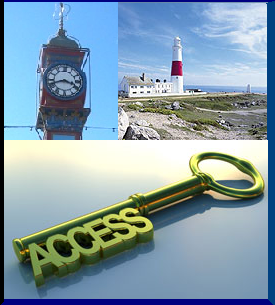 The links on this site will give you much information about cycling from Weymouth to Portland Bill. Please explore the site and then, we hope, go on to explore the route. 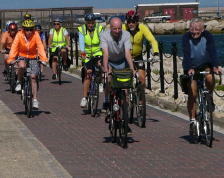 With the Olympic sailing events coming to Weymouth in 2012 there is much support for improving the Chain Gang Trail. It could become one of the lasting legacies to the area from the Olympic Games. In order for this to happen we need your support. In order for the money to be spent we need to demonstrate that there is a real demand. One way to do this is just to enjoy riding the route. There are currently cycle counters set in the ground and each time you go over one it adds to our chance of funding. The best place to start is at the Swannery Car Park in Weymouth which is only about 500 metres from the railway station. All trains take bikes. From the Swannery Car Park the route is off the road for over 4km. Exit via the rear of the car park on the cycle route and turn right over the bridge beside the inner harbour. Go under the main road and you will come to the start of the Rodwell Trail. The Rodwell Trail, a green route following the old rail track, will take you to Ferry Bridge. The gradients are easy and there are many things to see on the way. Towards Ferry Bridge you will have some wonderful views of Portland Harbour and beyond. From here onto Portland the route of the Chain Gang Trail is under development. Road crossings of the busy road will not appeal to some but we expect to fix this soon. 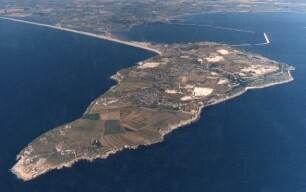 Once at the Sailing Academy on Portland, armed with the information from this site, you can get to Portland Bill. This site allows you to log onto the sites of the main players involved in improving the route. Please log onto the sites and, where possible, give your support.